Established in 1957, Waltonen is a full-service design and engineering company located in Warren, Michigan. Clients include OEMs and major tier-one manufacturers and suppliers in the automotive, transportation, aerospace, defense, medical, and consumer product industries. The cornerstone of Waltonen&apos;s success consists of long-standing relationships with both its clients and its employees, complete product development lifecycle support, and a variety of innovative custom services. 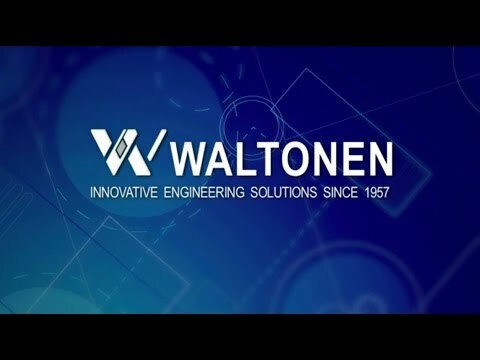 Its expertise with an emphasis on design, manufacturing systems, and advanced engineering makes Waltonen an engineering leader and ideal partner. DESIGN & ENGINEERING: Waltonen is ISO-9001-2008 certified and specializes in concept engineering, product development, and lifecycle management, modeling and simulation, digital manufacturing, systems integration, mechanical design and program management. MANUFACTURING SYSTEMS: Waltonen leads the way with facility and equipment planning and assembly and transfer systems engineering, specializing in large complex engineering and design programs. QUALITY ENGINEERING: Waltonen can evaluate and analyze dimensional engineering, human ergonomics, CMM inspection, scanning, GD&T, tolerance, reverse engineering, fixture design and build. Waltonen’s experience, the strength of commitment and depth of knowledge ensure the highest level of quality and value for its clients.